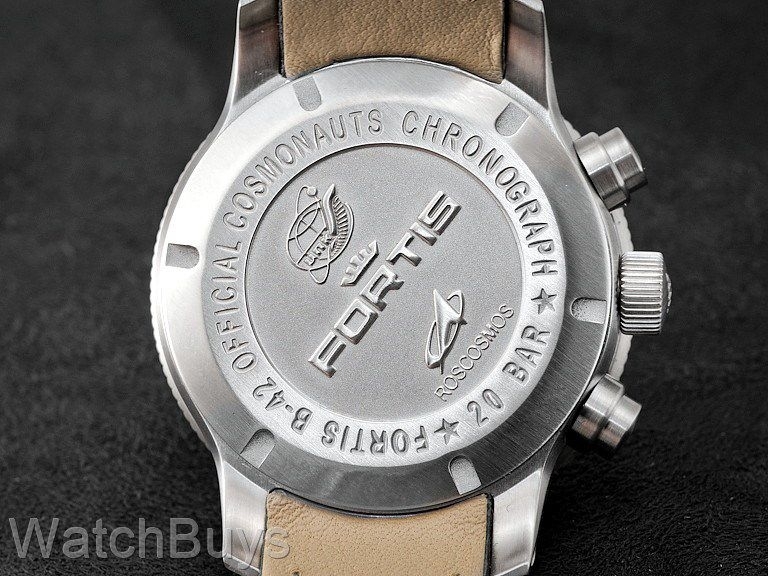 Following Fortis' maiden voyage aboard the Russian Space Station MIR in 1994, Fortis "launched" the Official Cosmonautis Collection. 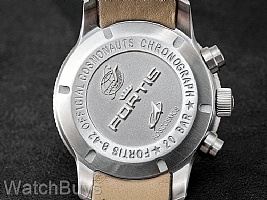 The Fortis Official Cosmonauts Chronograph is housed in a 42 mm case with a matte black dial and contrasting white numerals and indices. This watch features complete chronograph functions along with a day and date display at 3. 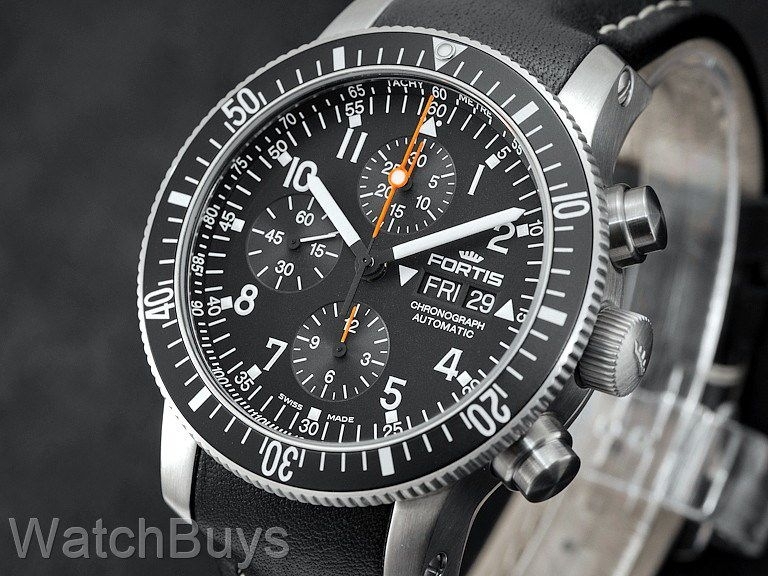 This watch is fitted with a black Fortis calf leather strap with white contrast stitching and Fortis steel tang buckle. Verified Owner Comments: Make no mistake, this is a substantial watch. You definitely know it's on your wrist. I took mine off the leather strap and wear it on NATOs which keeps the weight down from the bracelet version. Great dial layout. Lume isn't the greatest but it's there and its cool to have the numbers lumed. Day/Date complication is extremely useful. Great value when compared to a Speedmaster or Navitimer. It's definitely a unique piece. Love the caseback and my favorite feature of this watch is the blue AR coating on the crystal. I love the build quality and the uniqueness of this watch. Verified Owner Comments: Totally perfect for what I wanted. Could not get it the right way before WatchBuys became the US authorized dealer but have always wanted one. Thank you! Verified Owner Comments: This watch exceeds all expectations I had. And I was really very impressed by watchbuys customer service. Verified Owner Comments: Strong, beautiful, accurate +2 / 24h. Only disappointment the white SuperLuminova hands next time, I'll buy green. Matt of Costumer Service, knowledgeable, patient and courteous. A true asset to WatchBuys. Hope we do business soon again.